We'll be back tomorrow from 08:00 with more updates from across the region. Wellington College has said it is "deeply saddened" by the death of one of it's employees. Malcolm Callender, 48, hit his head on the floor after he was punched in Friar Street, Reading, on Friday evening. Police said he died in hospital following an "altercation" between two men near Matchbox nightclub. Mr Callender was head of works and estates at the college in Crowthorne, Berkshire. A woman who chose to have both her breasts removed to drastically slash the chances of developing cancer is launching a Cancer Research UK event in Southampton. Mother-of-two Gemma Braybrook decided to have a double mastectomy after discovered she had the BRCA 2 gene, which gave her about 70% lifetime risk of developing breast cancer. She is now calling on more people to sign up for the Race for Life event on 22 June and help raise money for cancer research. Southampton Airport is expecting around 11,000 passengers to pass through the airport this Easter bank holiday, a 44% increase on this time last year. 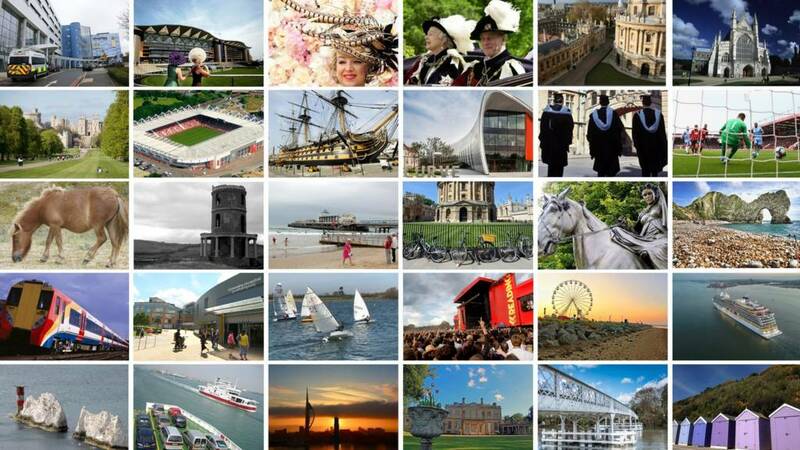 It comes as research shows holidaymakers travelling from Southampton are choosing a UK "staycation". The research by Our Future Skies found that Manchester is the most popular destination, followed by Edinburgh. A weak pound and Brexit uncertainty are among the factors thought to be boosting domestic breaks. Buildings at one of the country’s best racing pigeon studs could be converted to homes. If agreed, it could result in 10 new homes on the site of the Ponderosa UK Stud, in Green Lane at Chickerell, Dorset. In a request for planning permission, owner Mrs Mary Bartlett says that with the sport now in decline the business has, effectively, closed with only a few remaining birds to care for. “The world moves on and we’re not getting any younger, it’s now the time to retire,” she said. The main stud building was opened in 2009 but the business dates back more than 40 years and has sold racing pigeons around the world, many of them champion birds, including national winners in the UK and elsewhere. Reading Football Club is ending its 15-year kit deal with Puma. From next season, the Royals will wear shirts made by Italian supplier Macron, which also makes kits for Nottingam Forest. The deal runs until 2022. Puma recently signed a ten-year kit deal with Manchester City, worth a reported £650m. The Isle of Wight Council and Island Roads have agreed initial savings worth more than £11m following a renegotiation of the highways Public Finance Initiative (PFI) contract. The arrangement will see a £600,000-a-year cost reduction over the next 18 years of the agreement. A joint statement said it would lead to a number of job losses at Island Roads and its subcontractors, including five from CCTV monitoring and similar numbers in the area of street cleaning and also grass cutting. The council transferred the maintenance of the island's highways to Island Roads in 2013 for 25 years. Gynaecology services at hospitals in Oxford will be severely restricted for the next three months. It comes as outpatient waiting times have exceeded 40 weeks. The limitations will be in effect until the end of June. 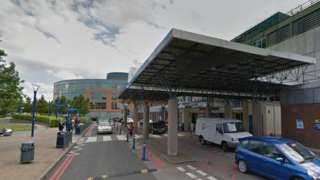 The Oxford University Hospitals NHS Trust will now divert referrals to hospitals in Berkshire, Buckinghamshire and Warwickshire. The trust says it is trying to address the situation - and will still take referrals around miscarriage, fertitilty and cancer. An architectural expert who helped restore Windsor Castle after its fire has offered to support those tasked with rebuilding Paris's Notre Dame Cathedral. Francis Maude, director of Donald Insall Associates which co-ordinated the reconstruction of the Queen's Berkshire home after fire destroyed 115 rooms in 1992, said: "If there's a way in which we can support the work that they do, we'd be really delighted to be able to help and share our knowledge the best we can." Mr Maude said the rebuilding of the historic French landmark, which was devastated by a fire on Monday, could be achieved. "It's a tragedy when an event like this happens. It's an easier thing to be very downcast when you start looking at what has been lost," he said. "But we do know, because we've seen it elsewhere, in the aftermath of wars and indeed at Windsor Castle here, that restoration is possible." He added: "The challenge is to try and retain the authenticity of the place - the historic fabric." An early start for Solent shipspotters tomorrow - Red Funnel's new £10m freight ferry, Red Kestrel is due to arrive in Southampton at approximately 08:00 on Thursday morning. It has travelled from Birkenhead where it was built in the Cammell Laird shipyard. It is due to make its way to 48 Berth in Southampton before an official naming ceremony next Thursday. Seven cruise ships are set to visit the Isle of Wight this year. The first visit of the seven comes from Hanseatic Nature, one of Hapag Lloyd’s new expedition class ships, and it will stop at the Island today. There will also be first-time visits to the Island for some of the world’s premium luxury cruise lines. Debbie Sellin is set to become the first woman to be the Bishop of Southampton, and first woman to be a bishop in the Diocese of Winchester. Revd Sellin was ordained 12 years ago and previously worked as a manager in the NHS. She succeeds the Rt Revd Dr Jonathan Frost who moved on to become the Dean of York in January after over eight years of service as the Bishop of Southampton. M27 Hampshire westbound severe disruption, after J7 for A334 Charles Watts Way. M27 Hampshire - One lane closed and queuing traffic on M27 westbound after J7, A334 (Hedge End), because of a broken down lorry. 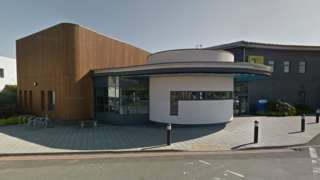 Security staff at Southampton General Hospital are to go ahead with a second day of strike action on Good Friday in an on-going dispute over security and pay. Unite the Union said talks yesterday with the employer Mitie Security Ltd made progress, but not sufficient for the strike to be called off. 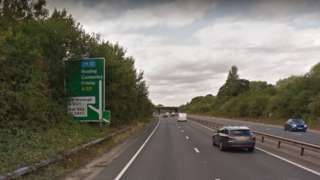 The union has claimed staff were being attacked "on a regular basis" by members of the public, either under the influence of drink or drugs, or with mental health problems. Mitie previously said it was piloting the use of safety gear. ... and the Ashmolean Museum in Oxford has been rooting through its collections for something appropriate to mark the occasion. Primary schools eye movements are being tracked so teachers can see when they are struggling to read. An old cedar tree, thought to be more than a 150 years old has been redesigned into a magical monument at the Royal Victoria Country Park in Netley, Hampshire. The tree was set to be cut down, before a local children's charity the Fair Ways Foundation organisation that supports children, stepped in to commission a spectacular piece of artwork.